Two separate low pass filters in a Eurorack-compatible module. Based on the classic SYSTEM-100m modular synthesizer, the SYSTEM-500 is a fully analog recreation of one of the most revered electronic instruments of all time. 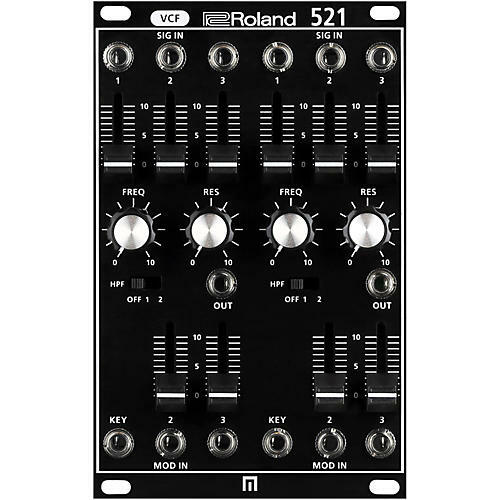 Newly designed in Eurorack format for modern performance and recording conventions, the SYSTEM-500 delivers the classic character and functionality of the original with the advantages of a modern instrument. Built in the USA and assembled in Japan, the SYSTEM-500 is made to exacting standards with top-quality components and solid controls. And it’s surprisingly affordable, turning the fantasy of finally owning this legendary instrument into reality. An essential component of the SYSTEM-500. Order yours today!